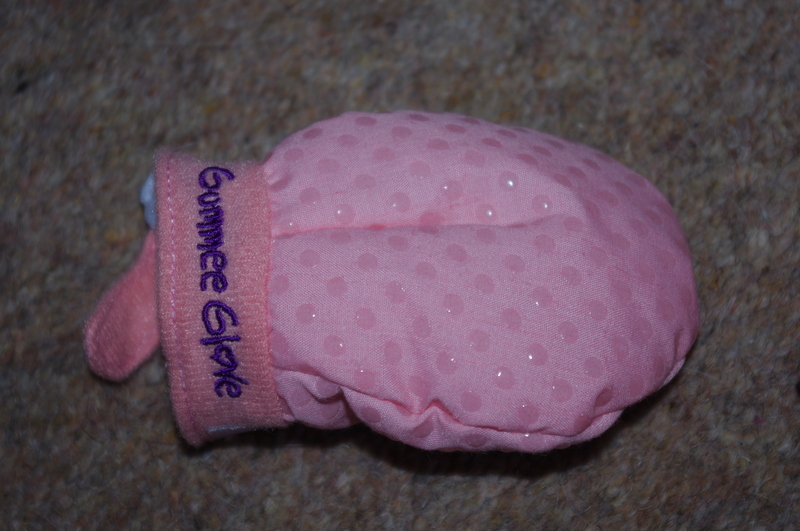 Finding mittens that stay on has proven to be a hard task, that was until we received a small package from Gummee Glove. Up to this point both mummy and baby had been scratched on numerous occasions and all the scratch mittens you can buy just didn't stay on. The Gummee Glove's anti-scratch teething mittens changed this. 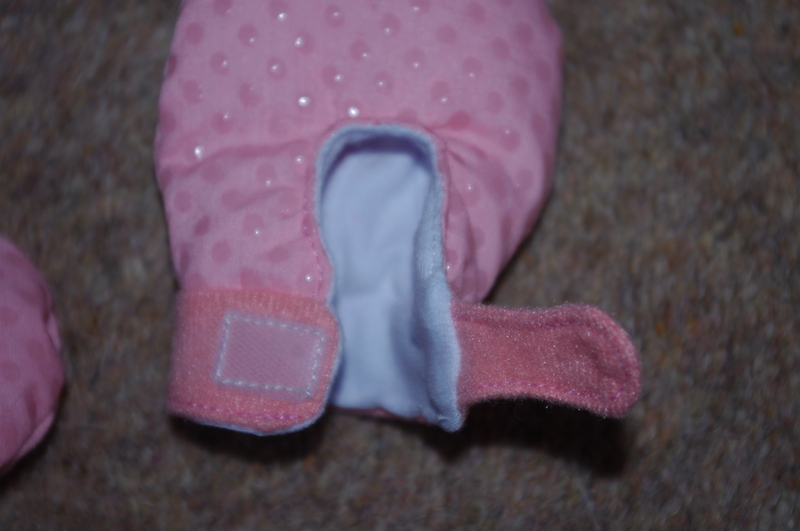 The gloves we received were a baby pink with soft silicone dots on the gloves which can help soothe a babies gums when teething whilst having a velcro strap to keep them on your baby's hands. 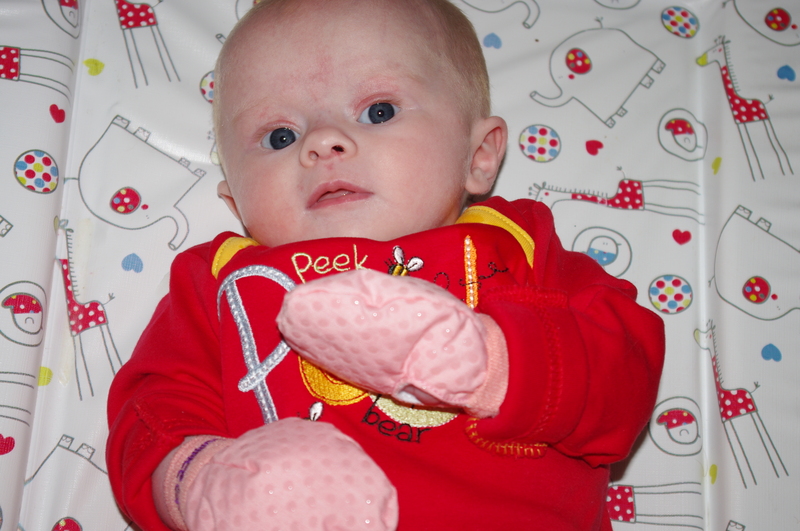 The gloves have plenty of growing space so you can use them from birth right through the cutting of their first teeth. 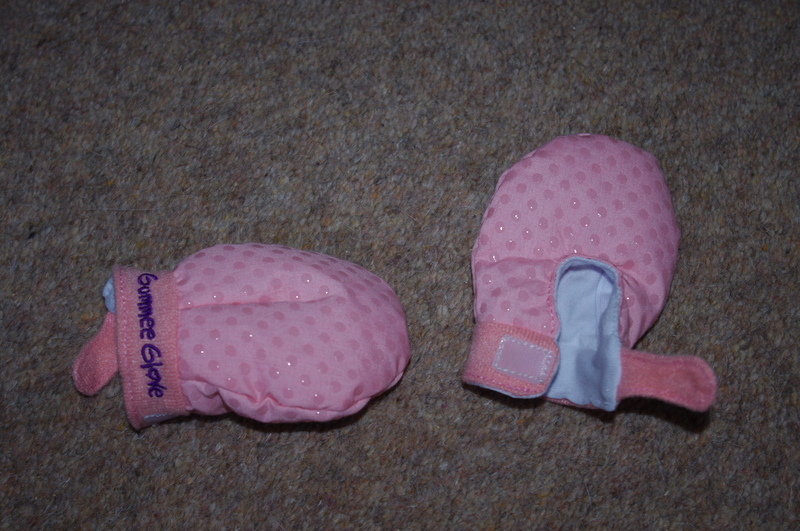 The gloves themselves are padded and absorbent to help with the teething stage. Molly is not teething just now so I can't comment on how well they helped with that stage but she certainly seemed happy enough to wear the mittens and they fit! I will be using these for a long time and so will need to get another few pairs for when these are washed and I would love to see some brighter colours and patterned designs as we light to have bright clothing. That said they are great so no matter what colour they are they will be worn. Disclaimer: I was sent this product by Gummee Glove however all opinions and views expressed are mine and mine alone. I was not paid to do this review. The Etsy ones are home made though aren't they? Using a material that isn't safety approved. Gummee Glove is a trusted company at least, with a great reputation. Much rather have my babies using their products. What a great idea - I love the silicone bobbles. Cute pressie for newborns. Thanks for posting. Sounds good but I know these have been approved for their safety and Etsy ones would be a gamble. I agree. When it comes to the baby safety is everything, esp on an item that will end up in their mouths. They are great aren't they! A defo product to consider buying. I wish I'd discovered these a few months ago! I wonder if they'd fit Amy?